At least once a month my wife and I can’t resist, and we spend some of our dining out budget on a hot, cheesy pizza from the national chain. Would it surprise you to hear that I NEVER (and I truly mean never) pay full price? There’s ALWAYS at least a 25% off coupon for Papa John’s online. You just need to venture out and find it. In fact, every time I shop online I have a habit of making sure I check out a few websites before finalizing my purchase. This ensures that I save as much money as I possibly can on my purchase. Is This Purchase Budgeted For? Saving money on a purchase is invigorating. We all love the hunt. But while that “awesome deal” you just scored technically saved you money on the purchase, it doesn’t mean you’re actually doing what’s best for you. Because if you’re spending money on a purchase that isn’t budgeted for, you’re still overspending. If you stumble across a dining set at Target.com for 90% off, you need to realize that it’s still 10% ON. I don’t care how awesome of a deal you just got, you’re buying something that wasn’t budgeted for. Technically that money was already budgeted for something else and you’ll run the risk of missing the mark on your financial goals for that month. Can you make adjustments to some discretionary items in your budget to make the purchase fit? So if the item is budgeted for or you made some adjustments to make it fit, let’s find out how to make sure you save some money on the purchase. Want to avoid coming back to this site every time you’re shopping online? Get all of this information in a FREE, downloadable cheat sheet that shows you the exact steps to take each and every time. Before I make a purchase, I check to see where I can find the best deal. 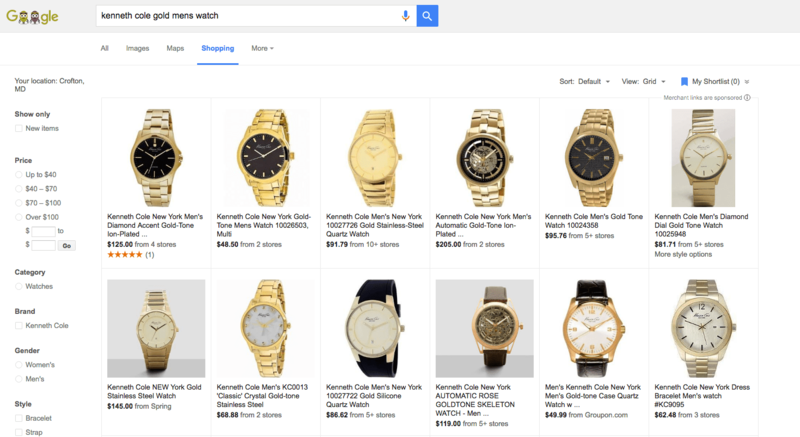 That search starts on Google Shopping. Let’s say I’m looking to purchase a watch that I budgeted for. I’d go to Google Shopping and type in what I’m looking for. From the results, I can find out where I want to purchase the item from based on the lowest price available. But I’m not done saving money yet! It’s time to save even more. When I’m ready to make an online purchase, my first stop is a site called Ebates. With Ebates, if you start your shopping experience from their site and use their links for the merchant, they’ll pay you cash at varying percentages. It’s free to sign up and free to use. 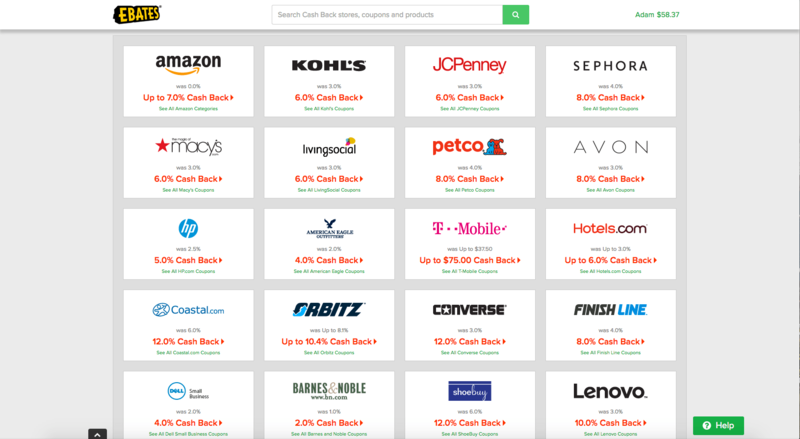 In addition to receiving cash back, Ebates also has several coupon codes available for most merchants. So you can find a coupon that works for your purchase and save even more! I’ve used Ebates since December 2015 and as you can see in the image above, I’ve already racked up over $50 over $161 in cash back! That $$$ was paid to me via PayPal as straight up cash. That number doesn’t even include how much I saved in coupons. If I were you, make Ebates your first stop. When a merchant isn’t available on Ebates (I’m looking at you Papa John’s!) my next stop is RetailMeNot. RetailMeNot is a website that has numerous coupon codes for a number of different merchants. While it may take a few tries to find a coupon code that works, my trip usually ends up with me saving some money. It’s where I always find my 25% off coupon (at least!) for Papa Johns. I may not be earning cash back (in addition to the coupon) like I would on Ebates, but I’m still saving money and that’s key. RetailMeNot also has an app that allows you to search for coupons while physically shopping in a store. A few years ago I recall being in a Macy’s store with my wife. She was purchasing a pair of jeans that were on sale and right before we checked out, I remembered to pull up the RetailMeNot app. Needless to say, we found a separate coupon code that allowed us to save even more money right there in the store. Score! Don’t forget your FREE cheat sheet so you can avoid coming back to this site every time you’re shopping online. It’s fairly easy to save money shopping online if you implement the simple steps I mentioned above. There are certainly many other websites, browser extensions and apps out there designed to help you save money. You just need to find a system that works best for you and your habits. What I outlined above is an easy process to build into your online shopping habits. How are you going to save money on your budgeted expenses?